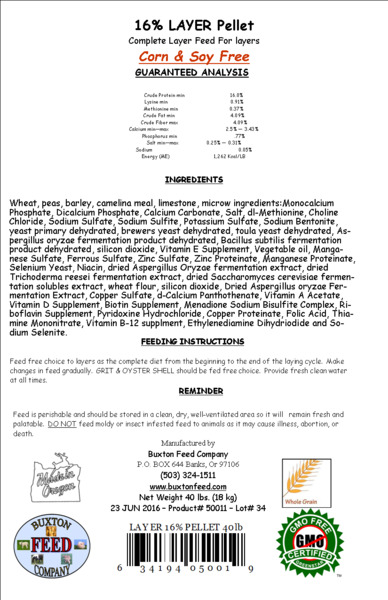 BFC (Buxton Feed Company) 16% layer pellets ensure your chicken eats the entire contents of the feed. If feed is spilled the layer pellets are easy to find while your chickens are scratching, so less feed is wasted saving you money. Another huge benefit is the micro ingredients needed for your poultry are locked into the pellet, so they do not miss any of the good things they need.